PCTechBytes Microsoft Windows 8. permalink. I have a better tip for making Windows 8 hurt less…DON`t BUY IT! Well, your article above does not work!!! 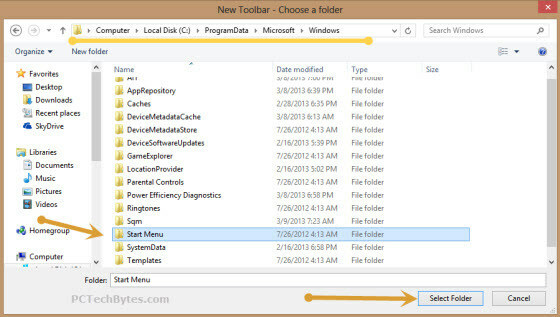 There is no PROGRAM DATA folder on my computer only Program Files and I don’t see START MENU anywhere. I even did a search and nothing was found. windows 7 is the best "windows ever" they don't get any better! !